History's Single Female Missionaries: 'Woman's Work for Women', or Proto-Feminists? Exalting the name of Jesus through essays on the topics of prophecy, encouragement, and discernment. God does a powerful and magnificent thing by raising up missionaries. He not only regenerates hearts but He establishes some to go to the hard places, live a hard life, and some even to die for His name. The selfish will of the natural man would never do that. The self-sacrificing heart of a regenerated Christian, would. I think of many woman missionaries who lived and died for His Gospel. One of my favorites is Gladys Aylward, missionary to China. We remember the female missionaries of the 1800s and 1900s who first went places, like Lottie Moon, Amy Carmichael, Annie Jenkins Sallee, Mary Slessor, and Isabel Crawford... among many others. We might be inclined to even think of them like super-Christians, given extra strength or morality or character, or who were extra spiritual. LOL, they were simply women, with the same sins, tendencies, and foibles as the rest of us. In fact, you might be surprised to find that some female missionaries may have possessed extra doses of foibles and struggles as they considered the mission field. Some of them may have mixed their motives for going, struggling with the exact same issues we do today- feminism and being conflicted against prescribed gender roles. After William Carey, missionary to India and considered the Father of Modern Missions, died in 1834, a fervor arose among the faithful. He had founded the Baptist Missionary Society, spent 41 years in India (without a furlough) and raised consciousness among Christians of the need for bringing the Gospel to the nations. Missions exploded. In addition to the missions movement powerfully springing up in the mid 1800s, in which many Christians desired to go, another powerful movement sprang up too- First Wave Feminism. (1848-1920). Whereas previously, the only credible careers available to women were teaching or nursing, now, many women found that a missionary life afforded them a chance at a fulfilling career and even leadership opportunities on the foreign field that would not have happened back home. The Civil War had helped with that, either with women handling the homestead or the business while the men were gone, or serving in the army itself as doctors. Once bitten by the independence bug, many women found that missions offered similar opportunity to lead an independent life. In 1834, New York businessman's wife, Sarah Doremus, heard a sermon about the need for women on the field in China, in order to reach Chinese women. She tried to get an organization going, but it went nowhere. By the time of the Civil War in 1861, there was less opposition to females singly joining men on the foreign mission field. Doremus's organization was finally founded with success: the Women's Union Missionary Society. Let's look at a few of these missions ladies. Charlotte 'Lottie' Moon (1840-1912) Missionary to China. One of the earliest and easily the most famous single female missionary, Lottie Moon, seems to have been a relentless advocate for expanded women's roles, a proto-feminist. Lottie was indifferent to the Baptist religion of her parents until age 18, when she experienced an awakening during a series of revivals. She then attended Virginia Female Seminary and Albemarle Female Institute in Charlottesville, Virginia graduating in 1861 with the first master of arts degrees awarded to a woman by a southern institution. Lottie taught at home for a while, but then responded to a call from her sister Edmonia in 1871 who had already been approved for the China mission field and had been there a year. Edmonia had previously served in the Confederate Army as a Doctor in the US Civil War. Foreign missions often encountered an issue of gender. In many nations, only women could reach women. Men counseling or giving the Gospel or interacting in general with women presented a scandalous problem. The teaching career having palled for Lottie, she responded to her sister's call and went to China to "go out among the millions" as an evangelist. Instead she wound up in the same work-situation as she had been back home, teaching what she termed as "unstudious children" in China and feeling like an oppressed class of single women missionaries. Can we wonder at the mortal weariness and disgust, the sense of wasted powers and the conviction that her life is a failure, that comes over a woman when, instead of the ever broadening activities that she had planned, she finds herself tied down to the petty work of teaching a few girls? That was how Lottie viewed women missionaries teaching children on the mission field. It was "petty work." "Simple justice demands that women should have equal rights with men in mission meetings and in the conduct of their work." 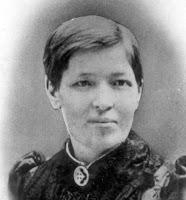 Lottie did receive criticism from both men and women for her opinions, one of which included women entering the missions field in order to do the "largest possible work," but other women abhorred Lottie's "disorderly walk" and called for her to stop her "lawless prancing all over the mission lot." Lottie didn't. She found it easier to advance her expanded view of female missionary work on the foreign field. When no men were available to preach, she did. Around 1885 Lottie decided on her own without permission from the home Board, to move to China's interior, P’ingtu. Her heart was burdened for the many who were 'groping ignorantly for God,' and where incidentally there was also less Board oversight. By 1886, Lottie had completely abandoned the "woman's work for women" policy that had she had agreed to in order to receive her appointment as a Southern Baptist missionary to China. Her move to P’ingtu accomplished, she had no male protection, no male supervision, and evangelized as she saw fit, experimenting with various methods. "[His plans] would make him, through the Board, dictator not only for life but after he had passed from earthly existence. If that be freedom, give me slavery." Forgoing biblical submission, she threatened resignation. Lottie Moon was an egalitarian who did much to erode the SBC's stance on complementarian roles for men and women. Her rebelliousness resonates to this day. Lottie remained unmarried to her death. As regards her death, the common story is that Lottie gave away all her money and gave her food to starving Chinese during a famine, dying a board a ship at Kobe Harbor weighing 50 pounds. Other documents indicate Moon suffered from an infection located behind her ear, which the missions doctor theorized had invaded her spinal column and caused dementia. Part of Moon's end-of-days dementia included fixations on lack of money and refusal to eat. Lottie Moon was no doubt a lover of the Gospel and a lover of souls, but was also a fearless and relentless advocate for 'women's rights' within the SBC, spending many years fighting the SBC (once on the field), rights that went far outside the bounds of biblical roles. man 30 years her junior, but decided not to marry him when the Board refused to allow him to leave Duke Town, and Mary refused to leave the interior. Mary chose missionary work over marriage, eventually becoming a revered Judge in native court, something that would not have happened back in Scotland. Yet Annie remained uncertain. Though she said she loved Sallee a great deal, she also viewed marriage as a personal defeat. And despite this love, she remained uncertain about fulfilling the station of wife. I didn't want to marry for many reasons, I had decided on so much work I was going to do. I feel a single woman can do so much more work than a married one with household cares. I feel I could have more influence with the young unmarried. I never did feel called upon to keep house for a man. I want to be in the work myself. As yet I have not been able to find the great importance and "privilege" as some term it of being a "wife"! It seems to me I’d be cut off from everything and shut up to house-hold cares. Marriage represented a giving up of the "feminist spirit" which Annie had so eagerly taken upon herself when she received her master’s degree, traveled to Chicago to be trained as a missionary, and set sail to China. I’ve told him [Eugene] how it seemed to me my education and all the years of training I had put on myself would be useless. He wouldn't need it, and I couldn't use it. It hurts him when I talk this way. He says he knows it is asking me to give up everything for nothing; but he loves me…I have learned such things and had such high ambitions for myself as a single woman that I can’t give all these up just now. I know that Papa says that a woman’s highest possible attainment in this world is to be a wife and mother but oh! I have seen the other side…the taste I had of public work, of the meetings with women, of moving whole audiences, and of helping people make decisions for God, of counciling [sic] with people about their work, and helping the discouraged--has taken a bigger hold on me than I thought and I flinch when I think of merging my own self, identity and all, literally losing right of self and all for him. My how it hurts my pride. I don't want to be 'Mrs.' Anybody. I don’t like married women as a general rule. … I don't feel I can get used to being Mrs. S, and really don’t want to. I hate to think I gave up my name. When Annie did eventually marry, she had the officiant take the word obey out of the vows and replace it with the word help. It is a fact that God calls some to singleness, and that is OK. However, to choose singleness because there is a greater chance of renown, or of expanding one's role, or of being independent, is another matter. In that case it would be a mixed motive that we women should be careful to examine before making drastic life decisions, most importantly, of the mission field. Genesis 3:16 makes that clear that it is within all of us until the glorification to want to rule over a husband. And on top of that there is the general tendency of our sin nature to usurp God's plan from all quarters, something satan is only too happy to help with. But is developing self or working to push gender boundaries God’s plan for women, or for any of us? We die to self, conforming our identity to Christ's in a lifetime of submission and sanctification. Is the marriage institution that God created "for nothing" as Annie wrote? Or as Lottie wrote, is teaching girls 'petty work'? If it is for the Lord, no work is petty. Did Paul deem it petty to make tents? Any historical person will have had a blending of truth and myth attached to their name. We are all used to the mythologizing that surrounds Lottie Moon or Amy Carmichael (she will be looked at in a separate essay). There's no doubt that these women mentioned and many others did have the Gospel and souls in mind when they embarked for the mission field. In the 1800s and early 1900s life was rough for these women (as it still is in many places). They endured hardships for the Lord's name, but some of them also intentionally or perhaps unintentionally used the situation to advance an agenda that was not totally consistent with biblical roles for women. It's clear that single female missionaries were not all feminists nor did they all use the field to advance extra-biblical boundaries. The hard life, relentless cultural opposition, and some martyrdoms make it clear that God was first priority. Yet their mixed motives are not out of bounds to examine, nor is is unwarranted to say that the sometimes lack of rigorous oversight may have later incited some of these women to overstep, bowing to a natural tendency to usurp. As in today's times, with woman founding organizations, gallivanting the globe for social justice, or heading out on book tours (leaving husband and children behind), and calling it ministry, these subterfuges simply indulge the Genesis 3:16 tendency in women who knowingly or unknowingly want to live a role that seems more attractive to them than "wife", a moniker that missionary Annie Jenkins Sallee actively chafed at. This essay is not meant to impugn the good work of these women, but to warn and advise ladies who want to strike out for the mission field, to examine one's own motives for doing so. It is also a call to examine everything with clear eyes, not to be clouded by mythologizing or romanticizing missions. It's especially important to be clear-eyed about these more famous missionary women when using them for role models. Many conferences rally young people to do extraordinary, counter-cultural, radical things for kingdom. High school, college, and seminary students are exhorted to do anything but settle for a predictable, cozy existence. The drumbeat, intentional or not, is risk, run, burn out, and die for Jesus. "Quietly" does not mean that women are never to utter a word when the church gathers for worship. This would completely contradict what Paul says about women in 1 Corinthians 11, where he tells the women how to pray and prophesy in church. His assumption is that they will pray and prophesy, which means his assumption is that they will speak during church services. We may note that the term for "quietly" in verse 11 is similar to the term for "quiet" in verse 2. When Christians are commanded to pray for a "peaceful and quiet life," that phrase does not describe a life in which no one talks. It aims rather at a life "without turmoil." As a wife, I am designed to help my husband be the best man he can be as he lives out his calling to make disciples. So this means that if I am married, I can be confident that I am following God’s calling when I support my husband in his calling. If you are called to singleness, you are still created to be a helper in a general sense to the body of Christ, but you are also able to maximize your giftedness in a unique, devoted way (1 Cor. 7:32-35). So if you are single, I would encourage you to find a ministry that you love with leaders that you can work under and help. If you've been blessed here and care to donate, thank you! Eschatology is more than "Jesus Wins"
Do you like or dislike podcasts? "There is no such thing as transgender"
What Was Happening on the Cross as Jesus Died? Visit Elizabeth's profile on Pinterest.